BLACK REPUBLICAN BLOG: Surprise: MSM Ignoring Another Obama Scandal? The media seems curiously uninterested in the latest Obama administration bombshell. Politico published a report that President Obama helped derail an investigation into a drug trafficking ring waged by Hezbollah in order to protect his nuclear deal with Iran. The effort, entitled Project Cassandra, began in 2008 following evidence from the Drug Enforcement Administration. Investigators went under cover to track the alleged drug and weapons trafficking but were slowed by White House officials who were dragging their feet. In their pursuit to ease tensions with Iran, the Obama administration "let Hezbollah off the hook." In the days since it was first published, the New York Times has treated it as a non-story. The Washington Post’s sole article on it consisted of a blog post, by one of its liberal opinion writers, devoted to quotes from Obama-administration alumni dismissing both Meyer and his sources as neoconservative propaganda without actually refuting any of the story’s main points. Charges that he killed a probe of the terror group to get his Iran deal. The Iran nuclear deal was the Holy Grail of Barack Obama’s second term, and it’s no secret he subjugated other priorities and relationships to get it. But now come allegations that he also killed a U.S. investigation into drug running by the Iranian-backed terrorists of Hezbollah. 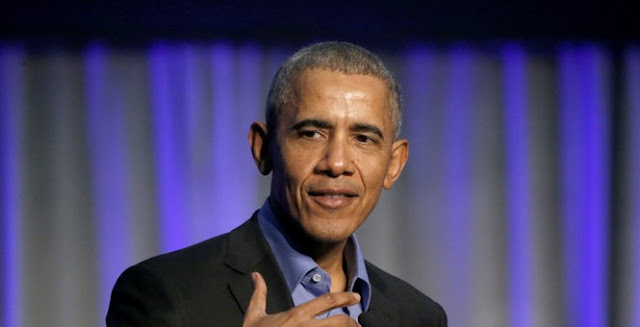 Josh Meyer of Politico reported that former U.S. officials say the Obama Administration quashed a Drug Enforcement Administration investigation into Hezbollah’s transnational crime networks. Senior Obama officials deny it, but Politico reports compelling evidence. After 9/11 the DEA launched investigations into Venezuelan crime syndicates, links between Colombian drug-traffickers and Lebanese money-launderers, and the “suspicious flow of thousands of used cars” from the U.S. to Benin, Mr. Meyer explains. The U.S. military was also investigating links between Iran and Shiite militias with improvised explosive devices that killed hundreds of U.S. soldiers. “All of these paths eventually converged on Hezbollah,” he writes. Mr. Obama’s defenders want you to believe that the DEA agents are sore losers in a Washington turf war. But there are a number of reasons why these charges ring true. Cassandra was closing in on Hezbollah as Mr. Obama was trying to complete his Iran nuclear deal. John Brennan, Mr. Obama’s counterterror chief who later led the CIA, had argued in May 2010 that Hezbollah was evolving into a political party. Exposing it as a transnational crime syndicate would upset the Iranians and damage the Administration’s ability to sell his nuclear deal to a skeptical public. An unidentified former CIA officer told Mr. Meyer that “during the negotiations, early on,” the Iranians “said listen, we need you to lay off Hezbollah, to tamp down the pressure on them, and the Obama administration acquiesced to that request. It was a strategic decision to show good faith toward the Iranians” to reach an agreement. Three major suspects involved in weapons and drug trafficking got away. Ali Fayad, a Lebanese arms dealer alleged to work for Russia supplying weapons in Syria and Iraq, was arrested in the Czech Republic in 2014. He had been indicted in the U.S. but the Administration “declined to apply serious pressure on the Czech government to extradite him,” says Mr. Meyer. He was sent to Beirut where he continues to ply his trade. Mr. Meyer reported that former Obama officials assured him that they had not “derailed any actions against Hezbollah or its Iranian allies for political reasons.” But many government officials believe otherwise, which is why this warrants a congressional investigation.